As a key sponsor of the Starlight Children’s Foundation, we are involved in many exciting fundraising activities solely aimed at helping Starlight continue with its valuable work: brightening the lives of seriously ill kids. Our partnership with Starlight has humble origins: it has grown from one R&W agent’s personal involvement with Starlight to a broad and diverse engagement that extends throughout the Richardson & Wrench network across New South Wales and Queensland with the number of established agencies becoming involved growing each year. Of course, Richardson & Wrench is pleased to involve each and every new franchise in supporting Starlight. Richardson & Wrench engage with Starlight on a number of levels, from merchandise sales on Starlight Day, the Spring campaign and fundraising for Starlight as part of the R&W Running Team in the Sydney and Brisbane Blackmores Running Festivals. 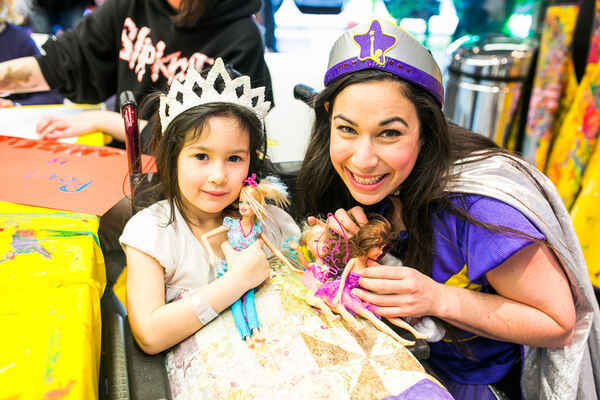 Richardson & Wrench actively raises awareness about Starlight’s wonderful activities, through special promotions and group visits to Starlight Express Rooms, where kids can play and, well, be kids! Some R&W staff even volunteer in these Express Rooms, spending time with the children in hospitals, while others volunteer at Starlight’s events. What makes the partnership unique? The Richardson & Wrench Spring Campaign is the most rewarding element to our partnership. This is where each participating agency agrees to donate a specified amount per property sold throughout Spring each year. What is unique about this is it allows each agency and indeed the individual agents within each agency to set the amount they want to donate at the beginning of the period so each agency is comfortable about the donation they make and even those with smaller results can feel a part of something much bigger. >To foster community spirit and to assist the engagement of R&W employees with their communities. What makes the partnership with Starlight worthwhile for Richardson & Wrench? Over the time of this partnership, R&W have been responsible for donating $500,326.09! which has allowed Starlight to improve the experience of hospitalisation for thousands of children. This means a great deal to all of the children and their families who have had to deal with so much during their time in care and during treatment. To be a small part of the support process for these children during these difficult times means so much to everyone at Richardson & Wrench.